We lost one of my favorite trumpet players last week. 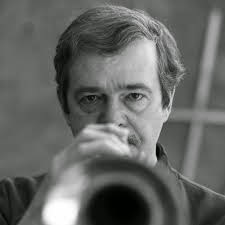 Kenny Wheeler influenced a generation of players and he was also a master composer. Here is his NY Time obituary. 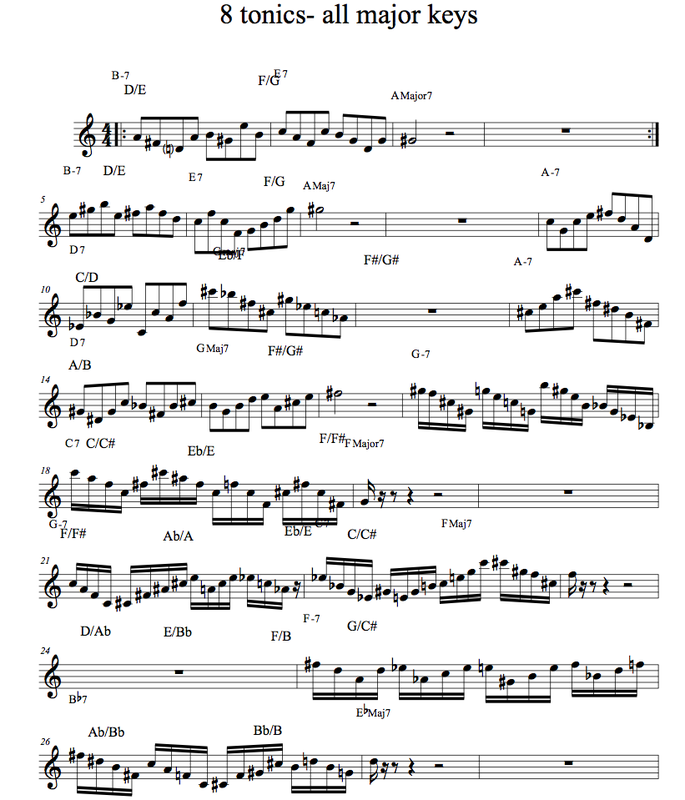 A while back a regular reader sent me a PDF of Kenny's tunes that he got when Kenny came to do a clinic. I have been playing some of these tunes since I got hold of this PDF. There are also Eb and Bb charts in there. Great stuff. Honor the man by playing his tunes! My buddy Tim Wilcox started playing on a Silverstein ligature recently and seemed very happy with it and it looked like a very interesting design, so I decided to check them out. The design is kind of similar to the old string ligatures, but the Silverstein ligs have just five thin cords that look kind of like hair ties that hold the reed in place. 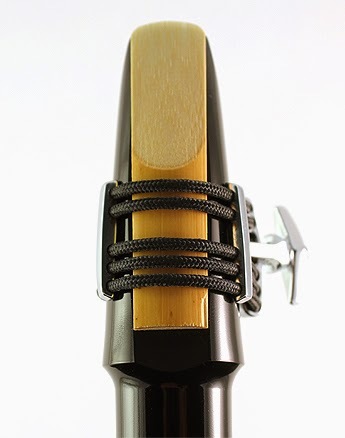 The cords are attached to a bar on top that also has a screw that pushes a V shaped clamp into the mouthpiece to tighten the cords and pull the reed from the bottom. It is actually quite an elegant design and the workmanship is excellent. There are two bars on either side of the lig that keep the cords spaced evenly and can be moved toward the reed or toward the reed the give different tonal colors. It makes a lot of sense to have as little ligature as possible touching the reed to allow for maximum vibration and the Sivlerstein ligature certainly achieves this end. You can also soak the ligature in water before putting it on so the cords absorb moisture. 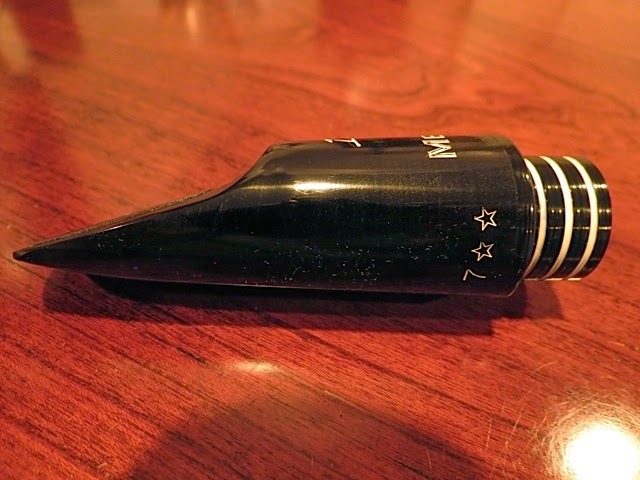 This is supposed to keep your reed from drying out as quickly while you play it. The ligs are obviously very well made and come with a lifetime guarantee. The Silverstein Ligature was designed to give players the purest sound, to accompany musicians with the support and dedication they and their instruments deserve. The self-adjusting design adjusts itself and conforms to your mouthpiece over time, actually getting even better and growing with you. 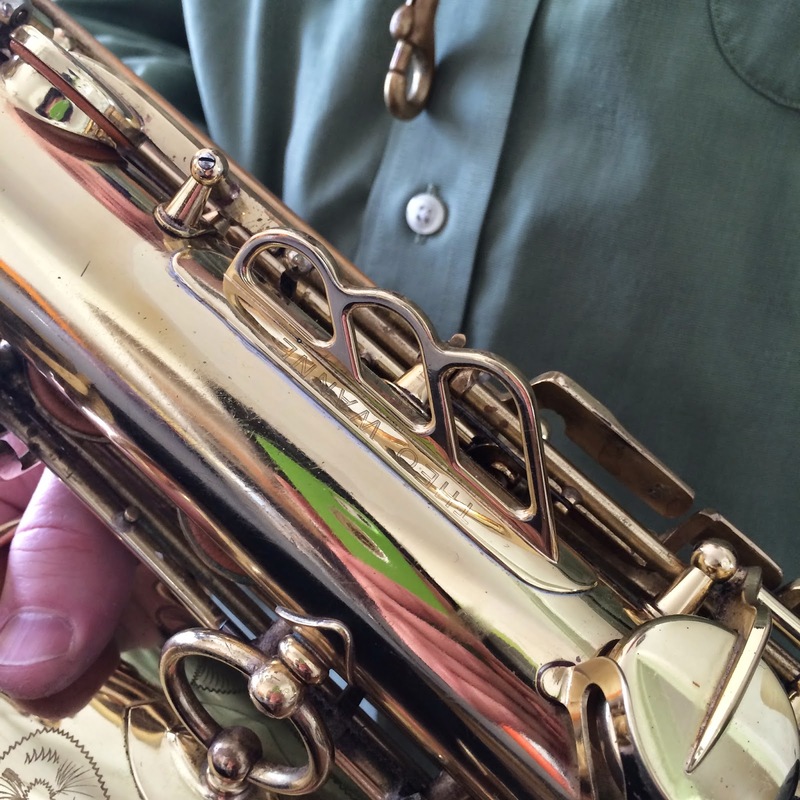 Use the patented Fine Tuner Bars on the sides of the Ligature for unprecedented control. Moving the bars up and down will change the color and focus of your sound. No other ligature allows such an easy one-touch adjustment for the perfectionist in you. 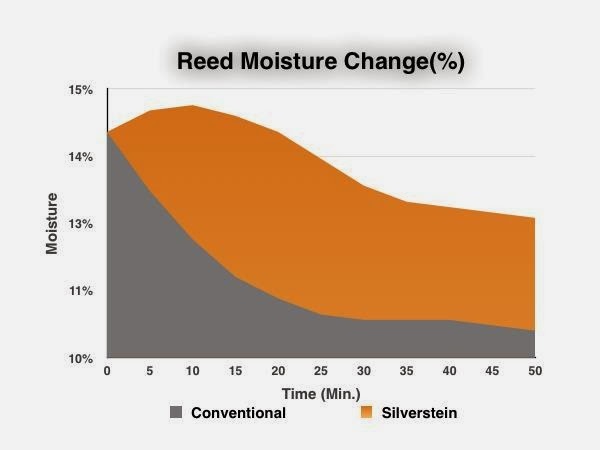 The Moisture Retention feature provides real constant moisture directly to your reed. 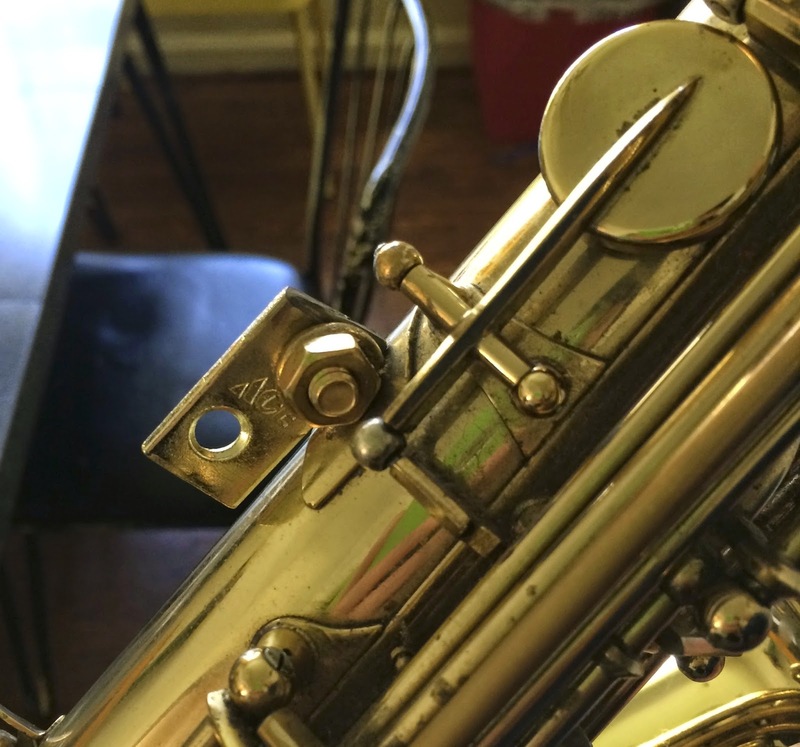 Soaking the Ligature before mounting can help reduce reed warpage during a performance by more than 50%, and helping your reeds last twice as long. 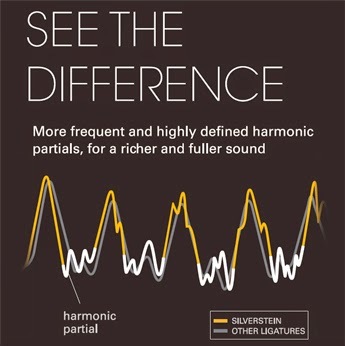 The unique features of the Silverstein Ligature were designed with the perfectionist musician in mind and is a true innovation. The bar has been raised; rethink what you knew to be truth about your sound and find out what the very best have begun to notice. Cutting edge technology with a delicate touch that truly amplifies your style, the Silverstein Ligature is the ultimate realization of what a ligature can and should do. Before getting into my impressions about how the ligature played I should tell you that I have played on a Rovner lig for about 34 years, so my entire sound concept is adapted to the Rovner, which is one of the darkest ligatures on the market. I think of ligatures as kind of the final tonal adjustment that you make after the horn, mouthpiece and reed. If the rest of your set up is a bit darker than you'd like then you can choose a ligature that gives just a bit more brightness, or vice versa. Personally, I like the darker sound that the Rovner gives, even though I do sacrifice a certain amount of response, volume and resonance by using it. Just about any other ligature that I have tried feels too bright to me. There is always a trade off, if you are looking for response, volume and clarity then you must give up some warmth and complexity. I first put the Silverstein on at a gig and I wasn't really prepared for the radical difference in sound or feel that I experienced. My horn felt and sounded totally different, it was louder, clearer, and brighter. It did seem to make my horn respond quicker as well. I had never tried a ligature before that had changed my sound so dramatically. The thing that was a bit unsettling was that my intonation felt less stable than with my Rovner. You could positively spin this by saying that the Silvertstein had more flexibility than the Rovner. It think that it something that I might be able to get used to over time, but it really did surprise me when I first put it on. 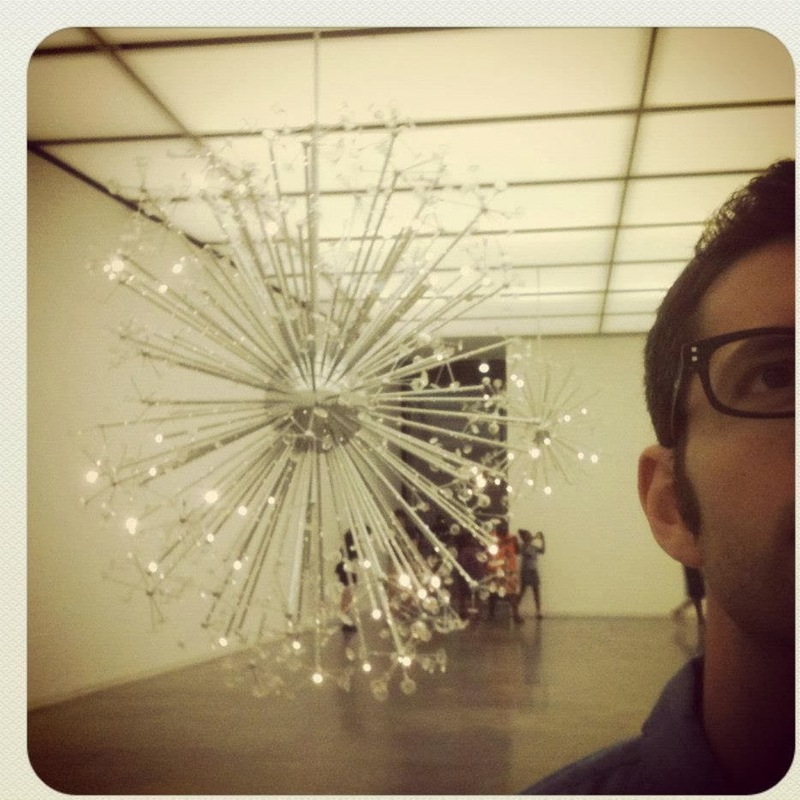 There was a general clarity to my sound with the Silverstein, but I wouldn't say that it really felt overly bright, like the Francois ligs feel to me. It did feel like the reed was really freely vibrating, but this also seemed to cause less pitch stability than my Rovner. Because I have played a Rovner for so many years and have developed my sound concept with that ligature it would make it tough for me to make such a radical change in my setup at this point. 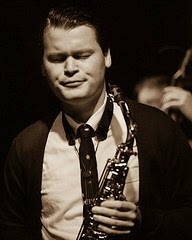 That said, I think that the Silverstein design makes perfect sense and it worth a try for any serious saxophonist. Ligatures are very difficult to write accurately about because every player has a different setup and will have a completely different playing experience when trying one. For me, the Silverstein was brighter than what I am used to, but another player will have the opposite impression when trying one. A lot of players that I respect have had great results with the Silversteins and from what I can tell they are very different from everything else currently on the market. The price, at $140, is higher than most other ligatures, but if you are a working professional or serious student then paying this much for a significant improvement in response, resonance and volume is not out of line. Silverstein has a Pro trial policy where they will send you a ligature to try for a month without charging you. You just need to apply and tell them a bit about yourself and give them a credit card, which will only be charged if you do not return the ligature. In order to fully grasp the workings of the 8 tonic system we must first fully understand four tonic substitutions. Four tonic subs are also called diminished substitutions and the tri-tone substitution is included in this group of subs. If you can imagine that the tonic V7 and the tri-tone is one axis and that the V7 chords a minor third above and below is the other other axis (at a 90 degree angle from the first axis). In the key of C the V7 is G7 and the tri-tone sub is C#7. The other two dominant chords are Bb7 and E7. 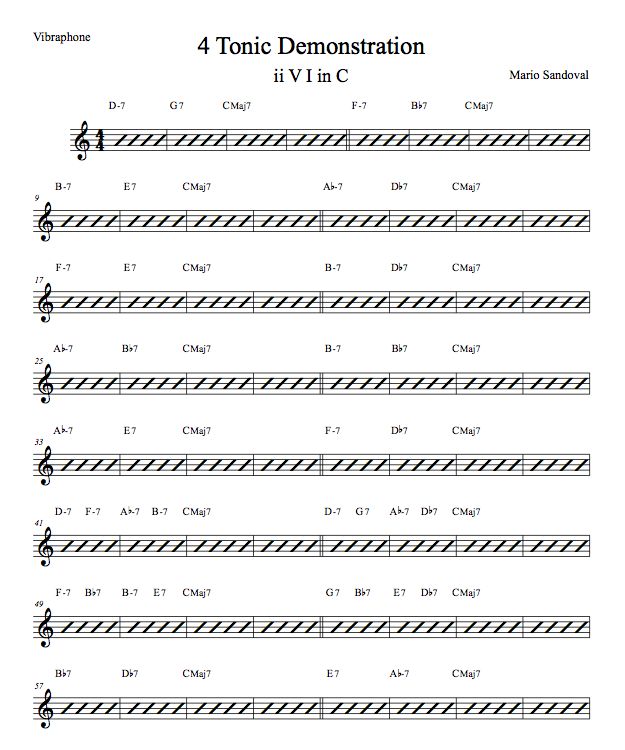 These chords are all related to each other because they share the same diminished scale. 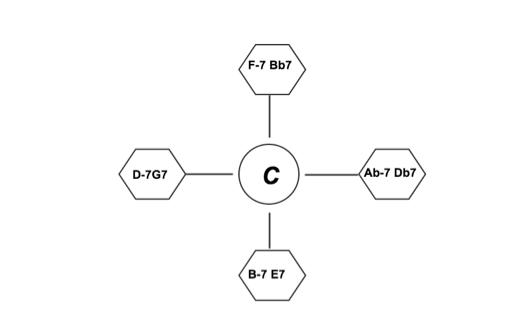 A G7(b9), Bb7(b9), E7(b9) and C#7(b9) are basically all the same chord if you don’t consider their roots. The tri-tone is used all the time as the most common type of substitution, but the the other two dominant chords (Bb7 & E7) are also very common subs for V7. They are often used as ways to get to the tri-tone sub, this is called a ‘backdoor resolution’. 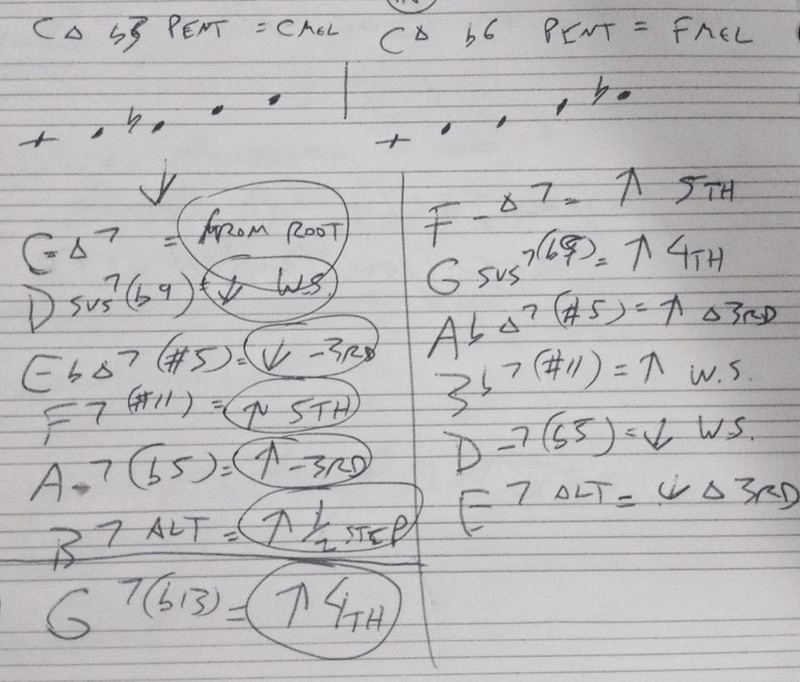 In fact, we can use the component chords of all four ii-7V7s and combine them freely. Keep in mind that the Dominant chords all sound pretty close to each other, the related ii-7s are where you start to get more dissonance. Think of the minor third axis (B-7 E7, F-7 Bb7) as cousins of the tri-tone sub. The chords of the 8 tonic system are simply all of the chords from these these four ii-7V7s. When we are using hexatonics/pairs from these chords we are still basing the harmony these strong four tonic substitutions. The 8 tonic system is simply another way to apply hexatonics/triad pairs to diminished subs. We are just calling the related ii-7 chords Major triads (from the -3rd) or you can also think of them as IVs. The 8 tonic system is an attempt to organize and simplify the methods that have been used to teach improvisors to use Hexatonic/Triad-Pairs in the past. 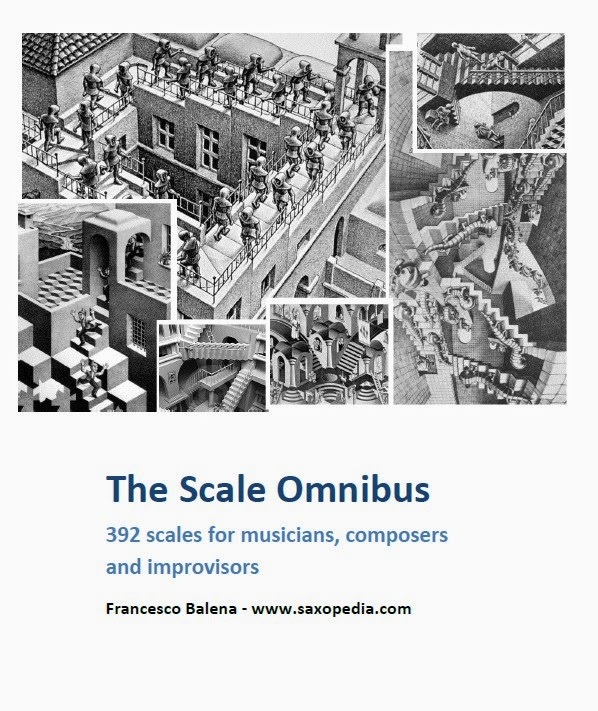 Hexatonic scales used for improvisation is now an important tool of the modern improvisor, yet there are inherent problems with the methods that have been taught up to this point. The biggest problem with Hexatonics is that they immediately sound formulaic and too much like a pattern. The other problem is that in order to use a wide variety of different Hexatonic/Triad-Pairs the player must commit many different formulas to memory in order to make the correct calculations to find the HT/TPs. 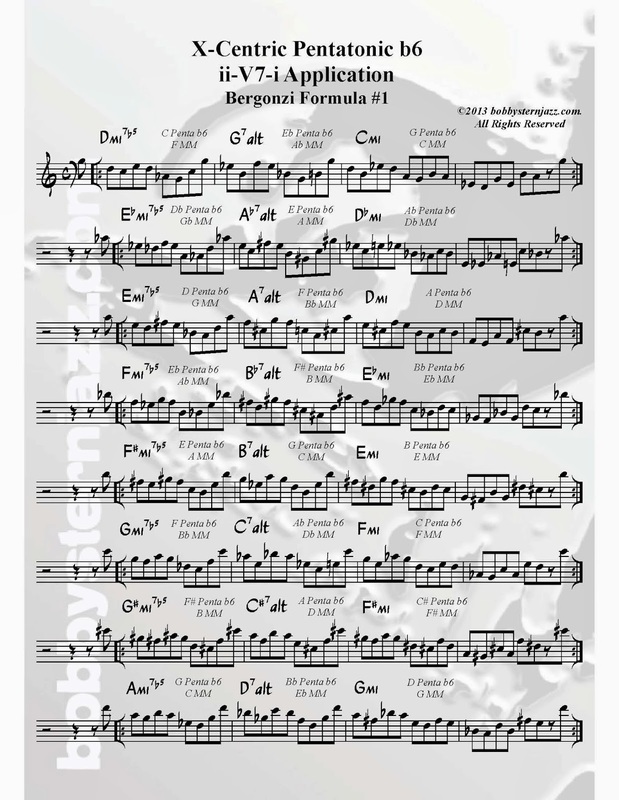 These formulas are short calculations, like: Major triad from the #11 and Major Triad from the b13, but they start to add up and get overwhelming. Many players I have heard using triad pairs usually end up using the most basic pairs, like Major triad from root and Major triad from the 9 (which give a Lydian sound). Once you start opening up the options by considering all of the pair options of the modes of melodic minor then the world of Hexatonics will start to open up. Modes of Melodic minor are a perfect fit for the application of Hexatonics because there are no avoid notes any of the MM modes and every diatonic pairing sounds good. The 8 tonic system pretty much explodes the old system of applying Hexatonic structures to chord changes. We want to start seeing every ii-7V7 and every V7 that is resolving down a fifth in root motion as a set of 12 major triad pairs. These 12 pairs imply ii-7V7 cadences in four different keys, as well as different combinations of ii-7s and V7s drawn from two different keys. The 8 tonic system can be considered as three different sets of 12 hexatonic triad pairings. Each set is functionally dominant, basically implying different combinations of ii-Vs in four keys. The result of applying these sets to normal ii-V7 progressions is that you set up symmetrical lines that are also highly chromatic. It feels very freeing to have eight possible major keys to choose from at any one time and this helps the improvisor to spontaneously create new ideas. By using half and whole-step hexatonics we are weaving different strands of the 8 tonic pretzel together. The justification for an eight tonic based system is this, the diminished scale should be the scale that our systematic improvisational harmonic model should be based on because the diminished scale creates all of the chords we use in Jazz. By combining two diminished seventh chords we are choosing exactly 2/3 of the 12 possible notes, which again gives us dominant function. 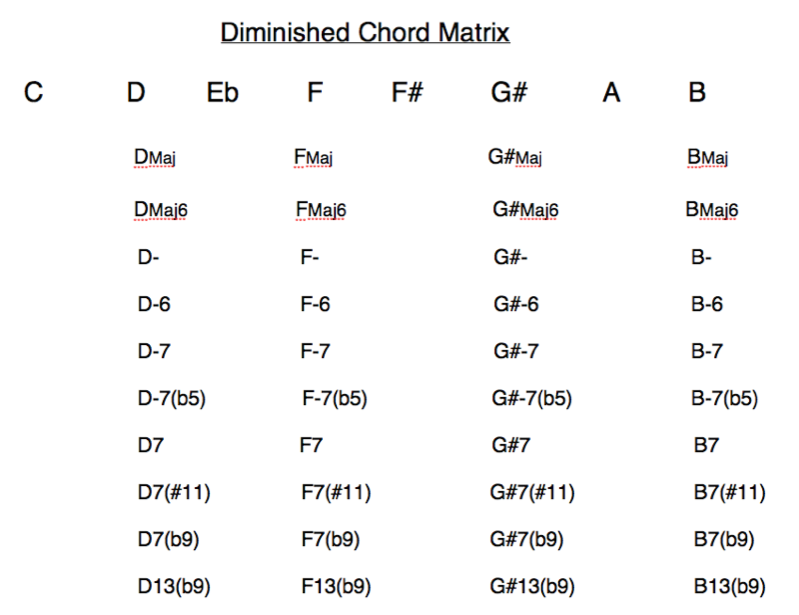 The matrix below shows which chords come from a C diminished scale. Naturally, musicians love to play, and I still enjoy playing music live and touring now and then. However, I've been a full time educator for the last five years. In this time, I believe I have made progress as an educator. However, the infinite universe that is music always seems to throw new challenges our way. I was teaching a class at the start of the week and I thought we had somewhat of a epiphany. It's not that the concepts are new, per se, it's that the way I was able to present it and the way we worked on it as a class seemed to gel better than previous efforts to introduce said concepts. 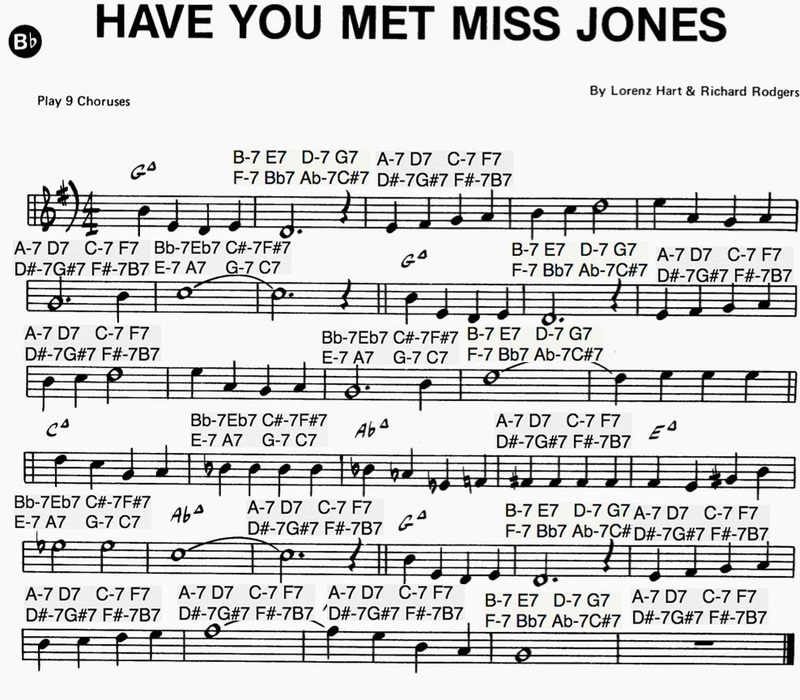 Many jazz educators and students would agree that we can easily get bogged down in the land of chord scales. I'm not trying to contradict previous posts! 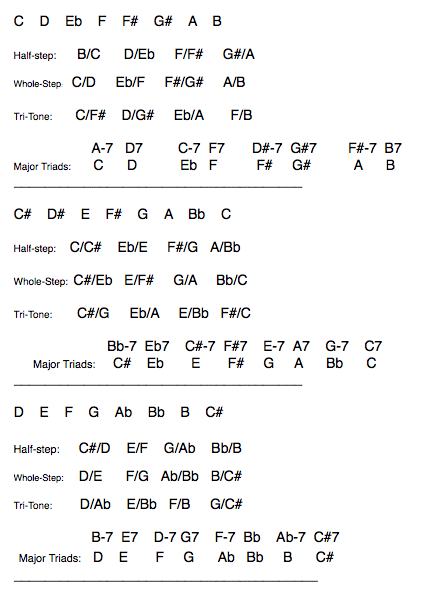 It's important to know basic jazz chord scale theory. But it's just theory. Theory is not music. Chords and scales are not music. They are a means by which to make music. 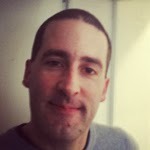 I find that some of my students, in an effort to, admittedly, listen to my constant whining that "you guys are not MAKING THE CHANGES," will try to make the changes the best they can; unfortunately, if all you are focusing on is connecting the dots, then it's likely you aren't concentrating on making compelling music. I recall in Victor Wooten's marvelous book, "The Music Lesson," there is a discussion of all the parts of music that aren't "notes." And yet getting bogged down in notes is a huge problem in terms of being artistic. The "notes," or in jazz, "making the changes," is like English class; you learn vocabulary, grammar, syntax, spelling, and so forth. However, this is not poetry or fiction. It's THE BASICS. If you can't speak Spanish fluently, you cannot write poetry in Spanish on the level of Pablo Neruda! That being said, since we only have but so much time, and many of my students come in to music school being behind the curve( I blame our educational system for banishing the funding and the priority for music education, not to mention the lack of anything besides crappy pop music on television). So, I believe sometimes it's important, or at least worth a shot, to say, "OK, I know we don't all have our ABCs and 123s perfect, but in any case, let's pretend we do and try to be creative." So in an effort to not forget about why we want to make music( self expression, creativity, artistic impulse, etc..), we throw caution to the wind and just play. But then the question is, what are we working on? I like to think in terms of having a mantra. 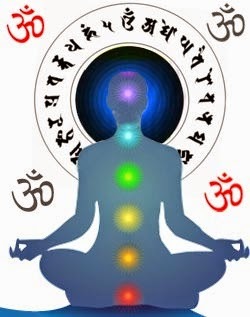 In meditation, a mantra is a word or sound which is believed to clear the mind and develop spiritual focus. 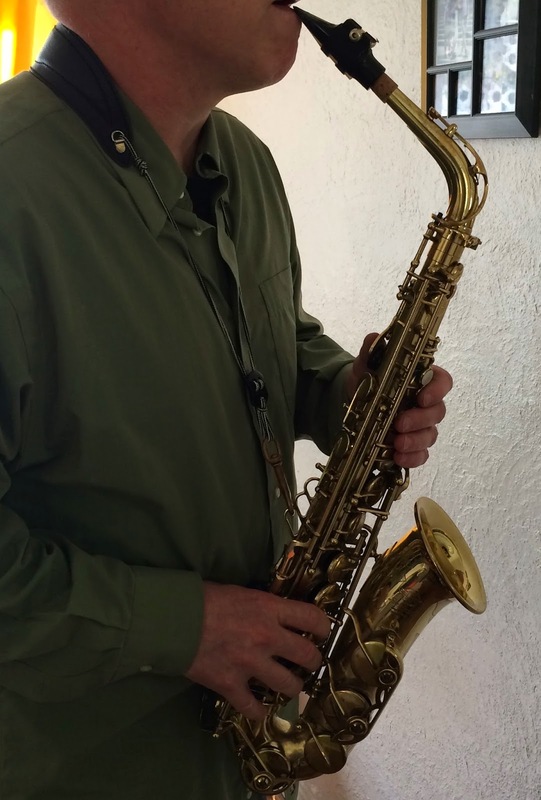 If improvising jazz can be seen as a meditation of sorts, then having one idea which helps one to focus on improvising can help to make one's improvising more musical. I have suggested this to students before; if your mantra, or single focus during improvisation is something like "RHYTHM," imagine how different your approach to a song like "Moment's Notice" would be! Or if your mantra was "MELODY" on a tune like "Giant Steps"; it would hopefully not just be endless 8th notes and so forth. Now, I believe that great jazz solos are made up of a variety of techniques, be they melodic, rhythmic, harmonic, compositional, what have you. However, I think much is to be gained in terms of developing these musical reflexes if you were to say, take "Confirmation" and practice it continuously using different mantras. For example, you could take from 1 to 100 choruses using the idea of "SPACE" as a mantra. Next, you could use the idea of "DISSONANCE" as a mantra, for 1 to 100 choruses. Next, you could use the idea of "MOTIVIC DEVELOPMENT" as a mantra. There are as many mantras as there are artistic concepts, so that is an infinite world. Also, this makes playing through the form less boring; meanwhile, you are learning how to play the changes better in the process of repetition. The eventual goal is that through the idea of focus on any given chorus, eventually you will go from one mantra to the next as you see fit while you improvise. You might think "SPACE" for the first chorus, "BUILD" for the next, "ENERGY" for the final, etc.... At a later date, you might not need to even be so conscious about it. 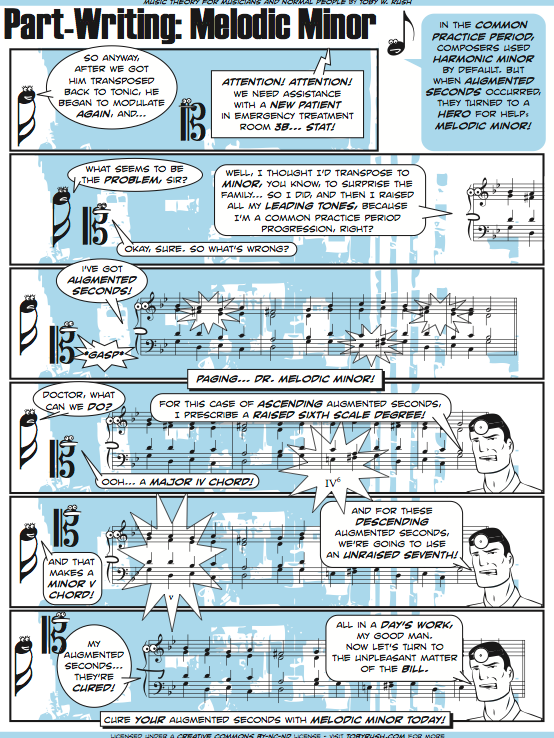 We tried this in my Guitar Heroes class and it yielded some really cool results. 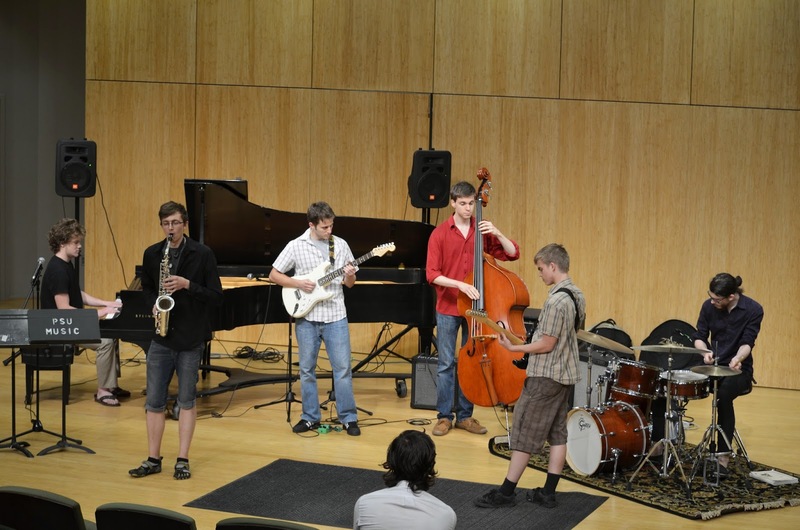 When I told guys to make half of their solos space, it really made the musicality higher. It's something really basic to good phrasing, and yet so many of us aren't conscious of this. As the class continued, we went further into conceptual mode. " 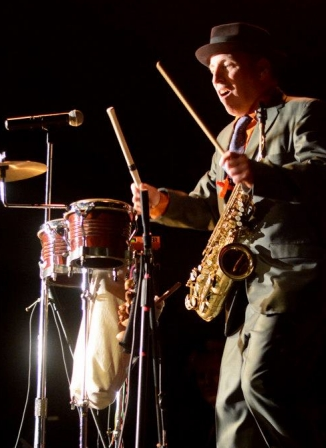 Rhythm section, I want you to TIP(play good time and not much else), and soloists, imagine that 'Confirmation' is based on a Tin Pan Alley tune, and you are writing that tune right now!" It was a little more specific than a MANTRA, but it also yielded musical results different from the usual constant stream of eighth notes. Then, we started to get into trying "Confirmation" at different tempos, in different grooves and suggesting different rhythmic feels or even other genres. We tried the tune as a slow Count Basie swing groove; it brought a whole new life to the piece! We tried it as a Stadium Rock tune; "50 percent Def Lepard, 50 Percent Led Zepplin..." I suggested. I told the bassist just to play F pedal. Again, this was interesting. I was amazed at how much time we spent on one piece of music. I got the impression that it was enlightening for the students, although sometimes the overall mellow vibe of Portlanders can leave me wondering. Still, the point of the day was that music is limitless; don't forget that art is equal part creativity as it is skill. Don't be afraid to experiment, even with material which is very familiar. You may surprise yourself! 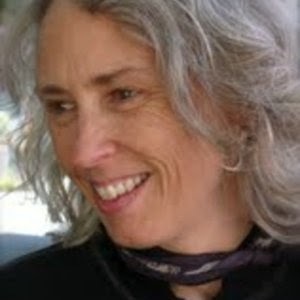 Jayn Pettingill, who is an old friend of mine and also a talented altoist, has started writing a very interesting web site called Jazz Conversations. Jazz, in the last 150 years, has grown into quite a large word, encompassing many genres and subgenres than ever before. It can mean many things to many people: My "Jazz" may not be your Jazz, but there are always points of intersection that mingle, or combust, creating vivid conversation. 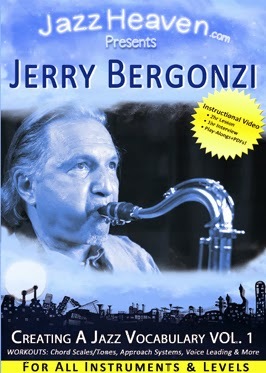 With many ways to listen to and to play this music, Jazz Conversations seeks to capture some of the music's magic through writing and audio profiles of the people who play it, their stories, their recordings or anything in between and beyond. 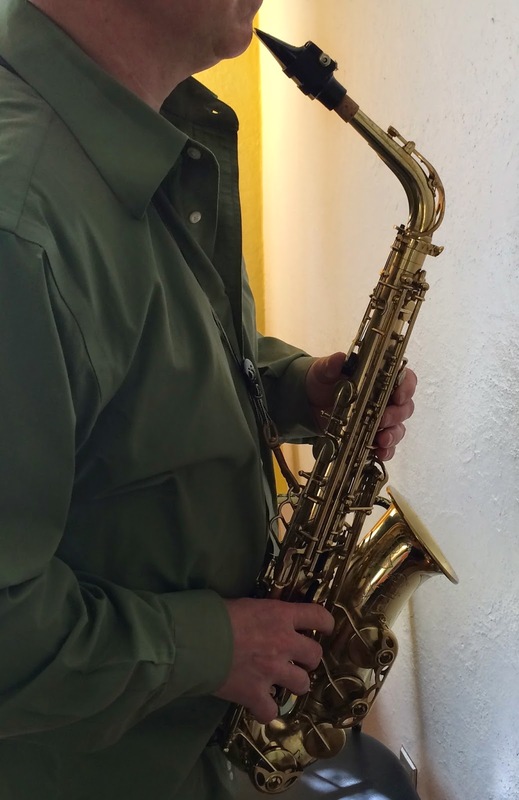 Jayn Pettingill is a San Francisco native who has been playing saxophone professionally for 30 years. Her early studies with Frank Morgan, Victor Morosco and Anthony Braxton have influenced her music deeply. As a freelance musician she collaborates with a variety of musicians and bands. Her own projects include "Verb," a quartet of alto sax, trombone, bass and drums, and Kaijuscope, a twelve piece ensemble which reimagines the music of Akira Ifukube, through Jayn's compositions and arrangements, in collaboration with visual artist Michele Graffieti. "Half Speed Jazz" is a collection of classic jazz solos played back at half speed curated by saxophonist Jacob Zimmerman and trumpeter Theo Padouvas. The inspiration for this project came from the teaching practices of legendary jazz pianist Lennie Tristano. His method for learning solos involved singing along with the recordings played back at half speed. 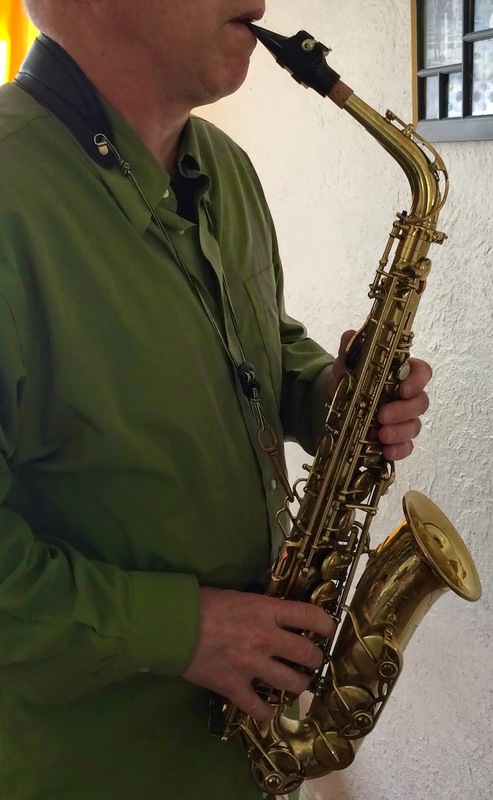 The authors of this blog believe that listening to a great solo at half speed can illuminate the enduring quality and substance of an improvised performance. Here is a sheet of diminished substitutions put together by Mario Sandoval, one of my PSU private students, that illustrates different diminished substitutions over a ii-V7 I in the key of of C.